I’m starting to wonder if Liberal MP Celina Caesar-Chavannes really does see a racist behind every tree and rock. Does she think every disagreement, every failure to yeild to her wishes, every slight is caused by the rampant racism sweeping Canada? 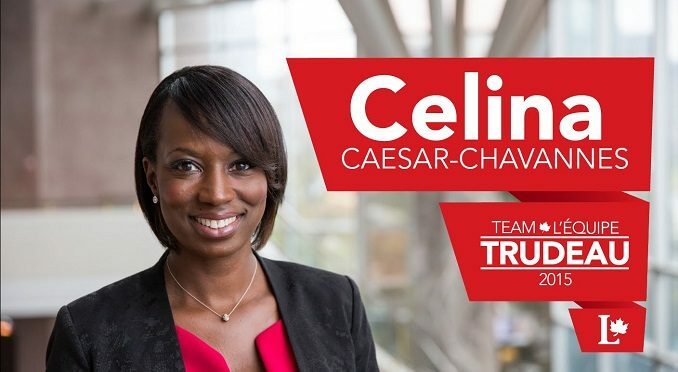 I have to admit, I don’t know much about Ms. Caesar-Chavannes. She is an MP from Whitby, an area that I have never lived nor worked, and I had never heard of her before the last election. At that point the Liberals touted her as a rising star. After using social media to attack a fellow MP and then a seasoned and respected reporter with implications of racism, I’m wondering if the braintrust at PMO is having second thoughts. Earlier this month, Caesar-Chavannes lashed out at fellow MP Maxime Bernier telling him to, “check [his] privilege and be quiet.” Today she is lashing out at Globe and Mail Ottawa Bureau Chief Robert Fife. Fife was on CPAC last week talking about the government’s non-stop push on issues of identity and race, something I touched on here. In the segment, Fife pointed to the complete mingling of all races and ethnicities among young people to suggest that the government launching a full study of systemic racism might not be needed. At that point Caesar-Chavannes lashed out at one of the most respected and senior reporters on Parliament Hill. I’ve worked alongside, but not for or with, Bob Fife for years. I call him an equal opportunity knee capper. When the Conservatives are in power they hate him and when the Liberals are in power they hate him. That’s because he goes where there story is, he is aggressive and relentless but fair. You can’t say that about everyone in the media. He is also a man that in my experience is concerned with striking the right tone and not offending people on issues of race, gender or anything else. And here we have an MP, an elected official with the governing party, questioning the ability of a journalist to do their job because they disagree with her on an issue. Don’t tell me that won’t have a chilling effect on journalists with less gumption than Fife. It’s part of a pattern for Caesar-Chavannes. She complained last December about micro-aggressions against her based on race, pointing to security guards not opening the door for her, being told she had to show her pass or she could not get on the bus that circles the rather large Parliamentary precinct. What I can tell you is that everything she complained about has happened to me. Someone of supposed white, and male, privilege. My office was in Centre Block, overlooking the Library of Parliament for five years. I was there every day. I still got asked for my pass, accosted trying to get on the bus, and threatened with having to go through the security screening with the rest of the public. The guards didn’t know me, there was a shift change, the bus driver had never seen me before, my pass wasn’t visible. The job of the security guards is to make sure only those authorized have access to certain areas. I’ve been with veteran MPs who still make sure to flash their MPs pin, their version of a pass, to security guards on their way into the building. With 338 MPs, countless staff, journalists and more, these security guards do not know everyone, they switch postings, they are new. But to Caesar-Chavannes, this was all racism. Just as it was racism when she lashed out at a fellow MP who disagreed with her. She later offered a half-hearted apology to Bernier and asked him to meet in Ottawa, an offer he declined. I’m not a black woman and I have lived a very different life than Ms. Caesar-Chavannes, but the same can be said of her not knowing my life. What I do know is that we live in a country that while it has had its problems in the past, now goes out of its way to redress grievances, fix problems and where most people are colour blind. Which I actually think is a good thing despite the claim it is racist. Unfortunately, too many “progressives” want to regress to the era when race was all that mattered and use that as the lens to view all aspects of life. I think she is starting to become a risk for the Liberals and they will have to deal with her in some way maybe a serious talking to or even kick her out. In a society based on merit, not skin-colour, whiners & complainers (like this M.P.) are real losers; but in JT’s supposedly anti-racist society, they’re real winners. What type of person would you rather have as a friend … and what type of society would you prefer to live in? Thanks for writing this brave article. 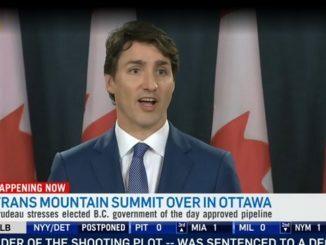 Trudeau’s stable of one-trick ponies will be on the unemployment line in 2019. Canadians are tired of their whining. Instead of blaming people of other races for your problems maybe create jobs and opportunities for your own people. Canadians need to be aware of their prejudices while not discounting the experiences of others. This article seems to discount the very valid arguments (and studies) Celina has presented. The tone of this article is dismissive and does not acknowledge the reality of MANY Canadians. Celina directly and firmly addressing her detractors is not “lashing out”, it is a strong and respectful way of highlighting the disparity these other leaders do not seem to be able to recognize (or address without being pushed to do so). She speaks on race and racism because it IS alive and well in Canada, if hidden under the guise of polite ignorance. In today’s social and political climate, when individuals talk under their breath that “it’s not a race issue”, this clearly shows one’s priviledge. If you think race is not an issue today, go tell that to Colten Boushie’s family. It is not her job to minimize her and other Canadians’ experiences – it IS her job to address the needs of her community, which she is doing. Problem is, Sheena, Ms. Chanannes creates her own racism. What she is talking about is not racism someone not holding the door open or asking for id is in no way racism people like Celina are in one way or another trying to create a divide. Well written Brian. Far too many people rely on racism and systemic racism as an excuse for their bad behaviour. I do live in Whitby in a multicultural town house complex and have neighbours who are a diverse mix of cultures etc. We get along because we can have an honest discussion and not because we are still looking to blame the past on something or someone else. Racism is a terrible thing and needs to be confronted. Reverse racism is equally as bad if not worse. I’m friends with a black lady in my neighbourhood. She once let out an epic rant about how the public library was racist because they were asking her to return a book which she claimed to have returned. Keep in mind many minorities work at the library. A few weeks later she found the book in question in her daughter’s room. This woman’s first impulse, like Celina, is to blame race – Even when race seems highly implausible. It’s almost like they are projecting their own personality failings on everyone else. Crying wolf is bad for those people of color who have legitimate issues with racism. However, to suggest it doesn’t exist in Canada is an outright act of stupidity..
Did you folks not realize that you can only be racist if you are white? All others get an automatic cultural free pass. The provincial governments in Canada promote this. The federal government promotes it. And of course this lady promotes it in her own way. Which tells me she is a racist in her own right. But, no one can say that simply because she is not white. And we all know you can only be a racist if you are white.